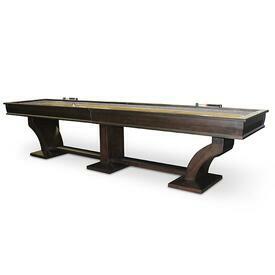 When it comes to shuffleboard tables, no brand in the industry can compare to the style, quality and value as Plank and Hide. Their designers stay in tune with today's modern trends and blend industrial looks with reclaimed wood and other mixed media. There just isn't anything else like it. 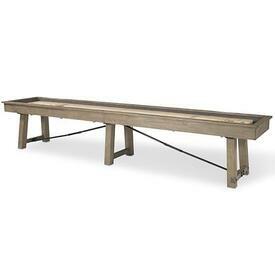 The engineers have created a line of tables that play with the performance that a seasoned pro would be impressed with and each model has striking curb appeal that even the most discerning upscale homeowner would be pleased with. 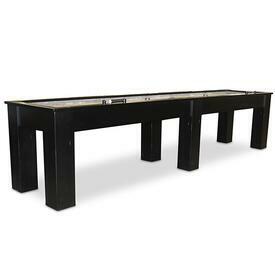 If your game room or basement is in the need of a little updating and you want to add a new type of in home recreation for friends and family to enjoy, choose a Plank and Hide Shuffleboard Table today. We offer free delivery to all fifty states and we have skilled installers just waiting to make your dream a reality. Learn even more about their innovation and style.